Acquittal is a rare case outcome in Russian judiciary. Find the courts with the highest acquittal rate. A lion's share of the accused are unemployed and low-class professions. See this composition for every court. 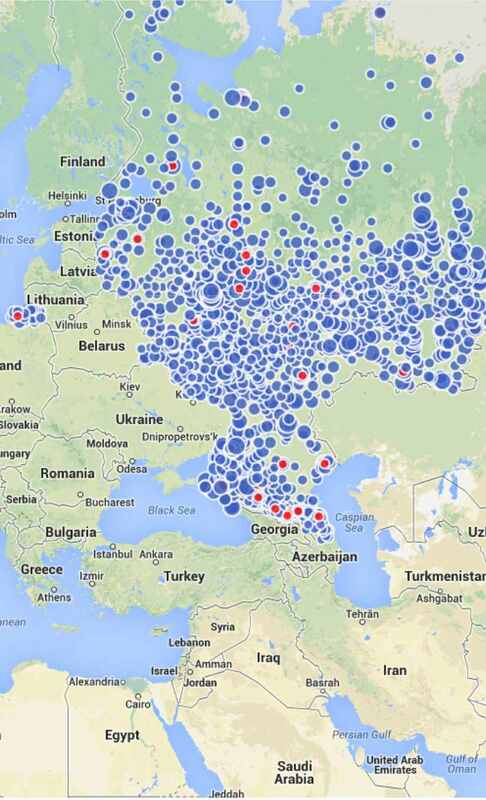 Russian courts exhibit notable dispersion in sentencing. Explore most lenient or most severe courts. Match sentencing with voters' preferences. Examine the courts in regions with high/low support of certain Presidential candidates. Is there a divide between urban and rural courts in Russia? Some courts tend to issue standardized verdicts. Study where and how often this is done. Russia enjoys world's second largest labour migration. Take a look at courts with the largest share of non-citizens accussed.